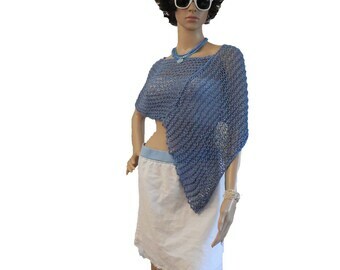 A luxurious bright white wrap that can be worn as a faux fur stole, shawl or scarf. It doesn't matter if you are a bride, a guest or even out to dinner, this is the perfect accessory for a unique fashion statement. 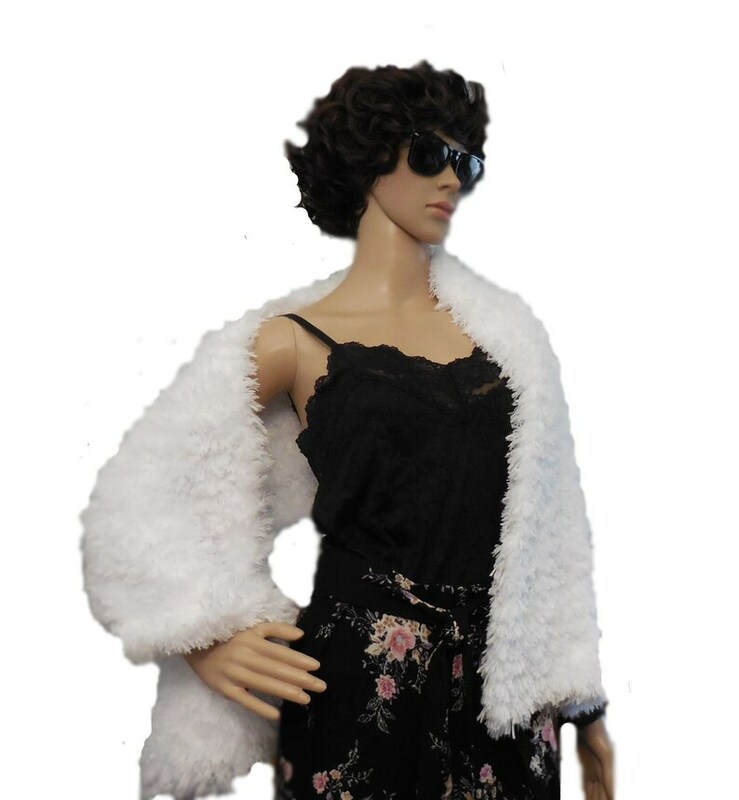 The White Faux Fur Wrap is Handmade Knitted using Specialty Super Soft Yarn, with equal fur on both sides. 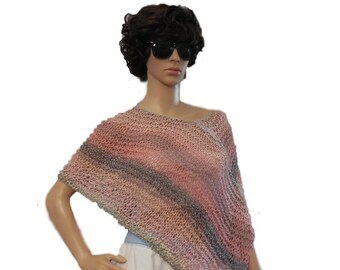 This is a great size for those who wish wear the the faux fur as a wrap or shawl. You can wrap around your neck as a scarf or even pull a bit up to cover your head. 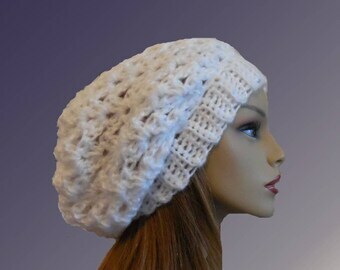 If you desire a different size, color or color combo I will create a custom order for your. Machine Wash Cold on Gentle & Machine Dry on Low. NOTE: Scarf Pin is not included.